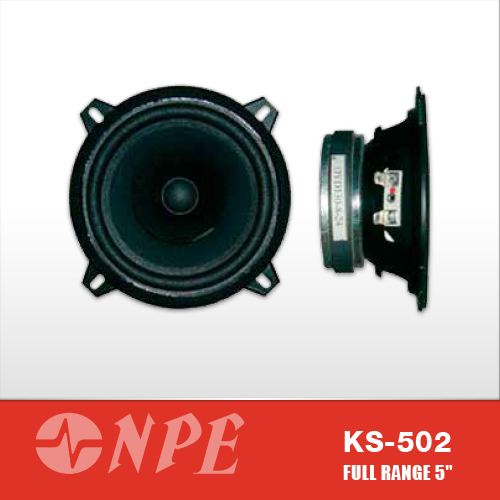 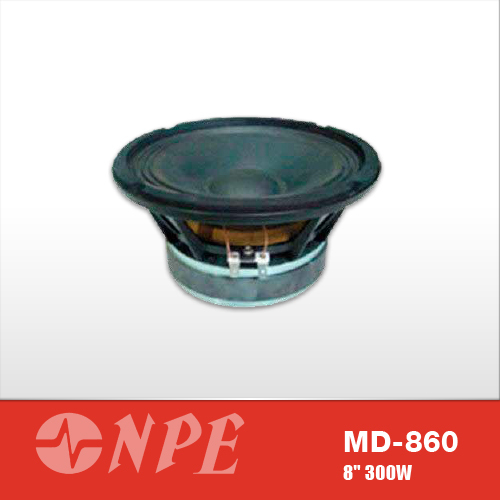 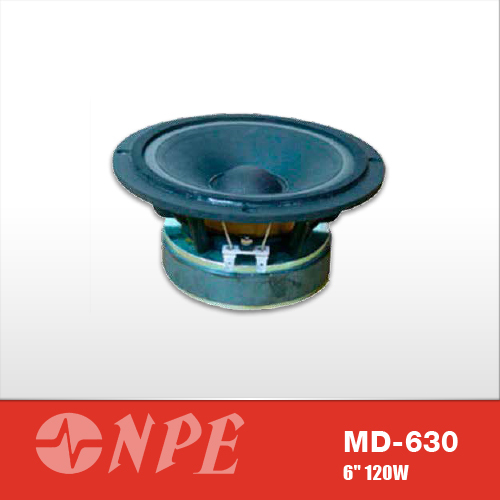 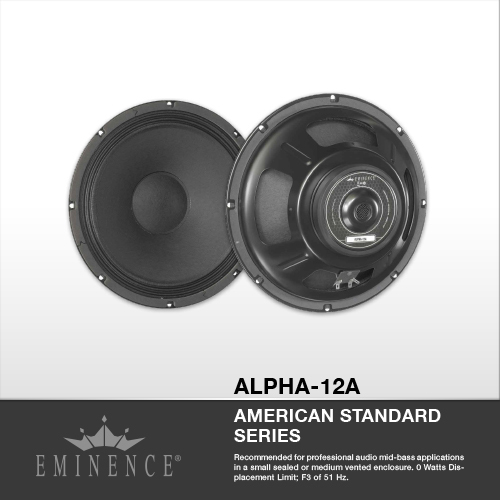 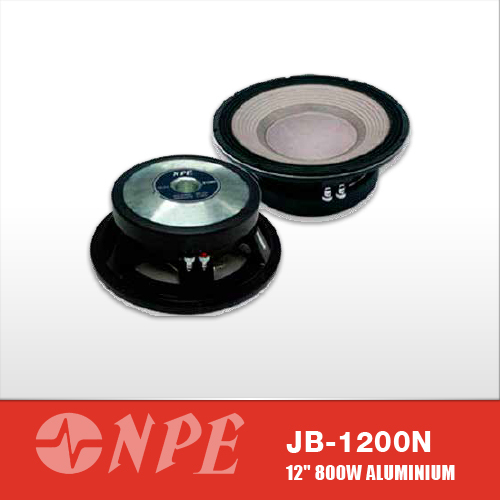 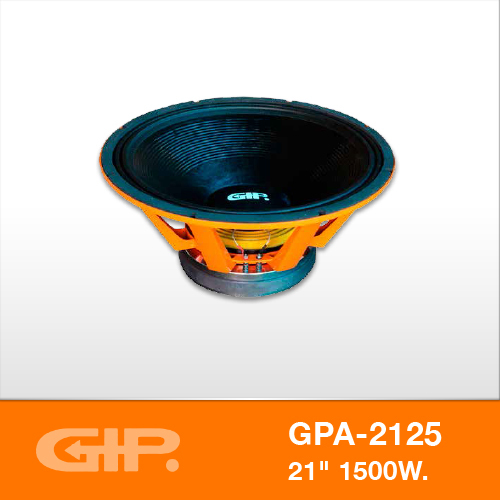 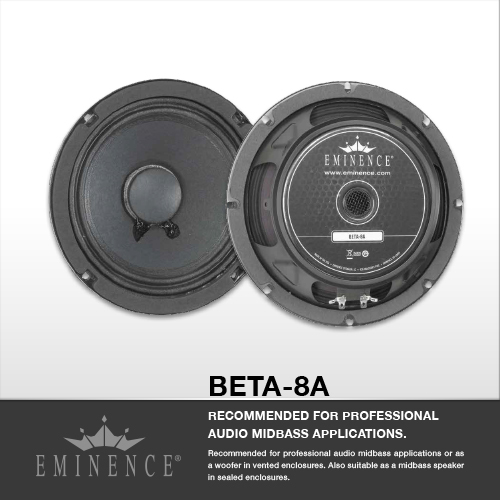 Recommended for professional audio midbass applications or as a woofer in vented enclosures. 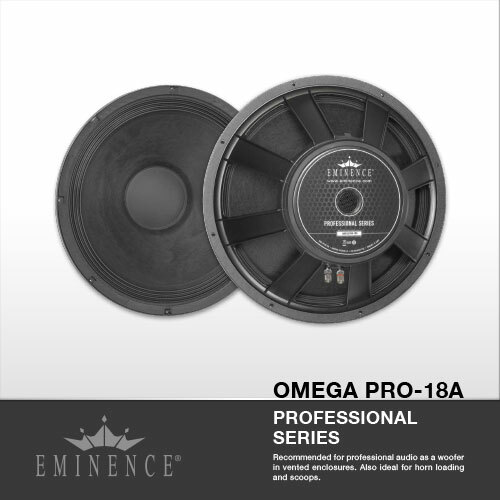 Also suitable as a midbass speaker in sealed enclosures. 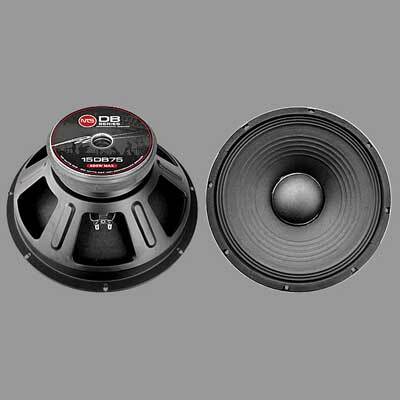 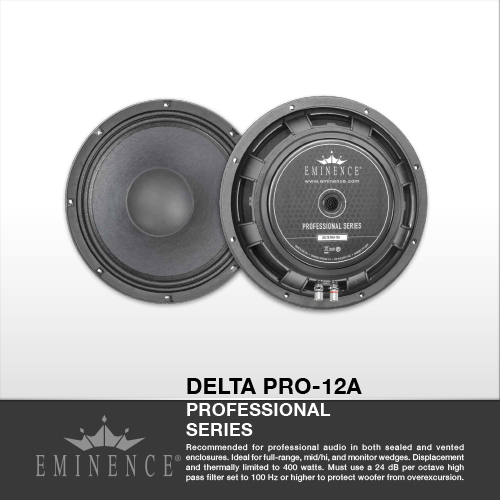 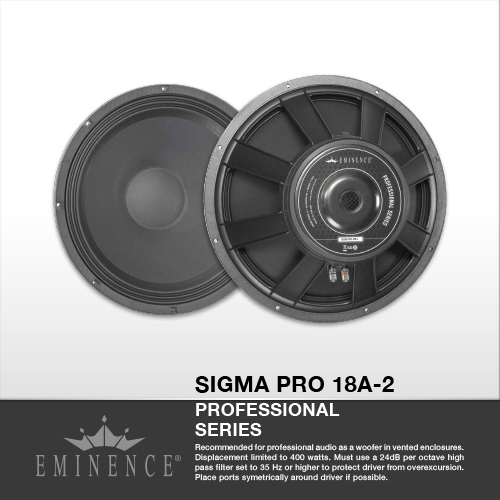 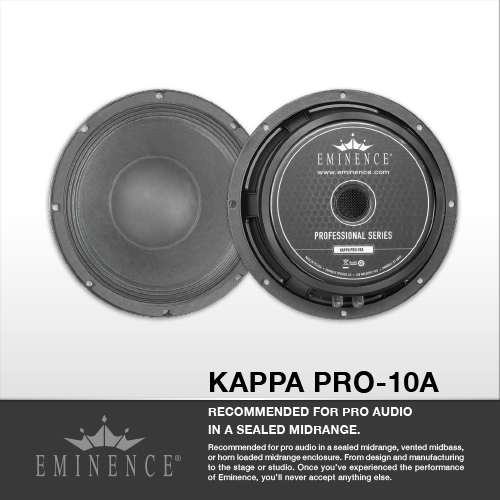 High efficiency pro audio driver for vented mid-bass, and vented bass enclosures. 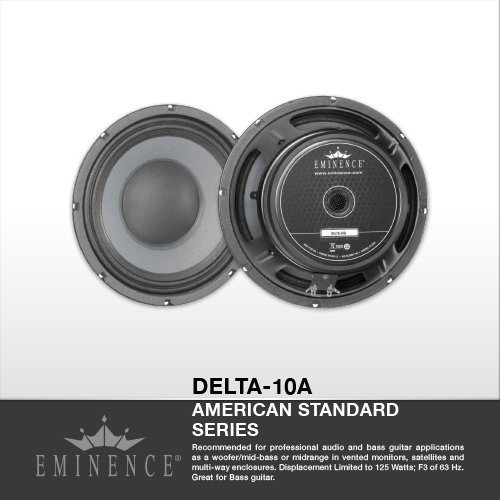 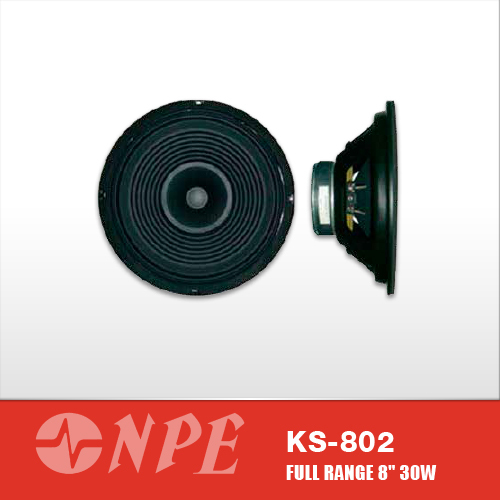 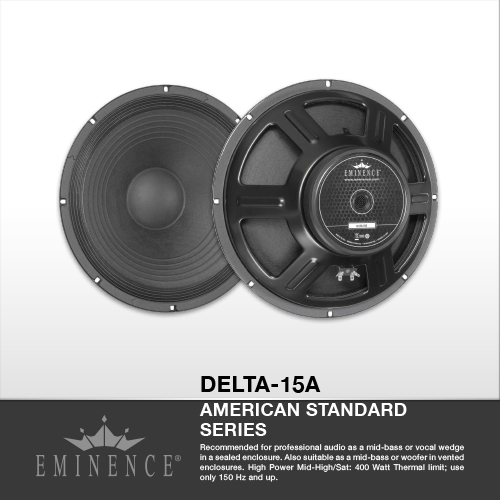 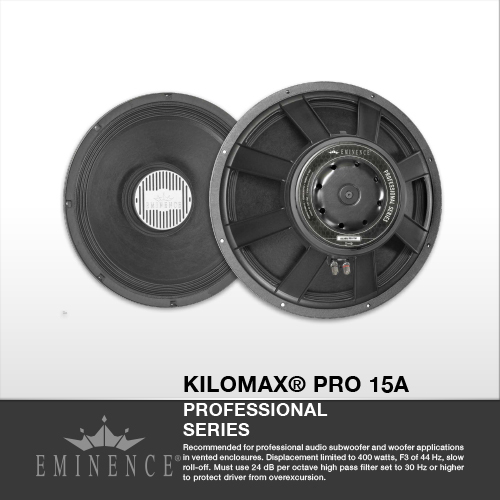 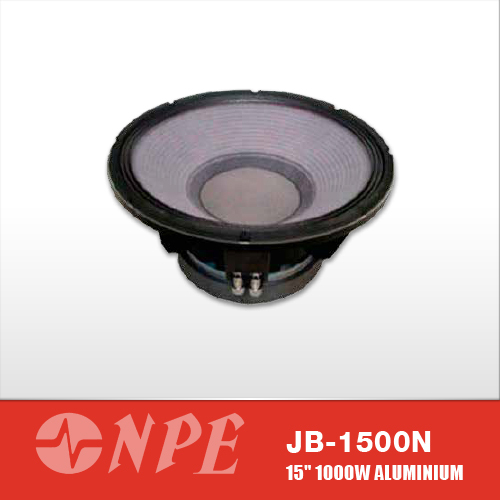 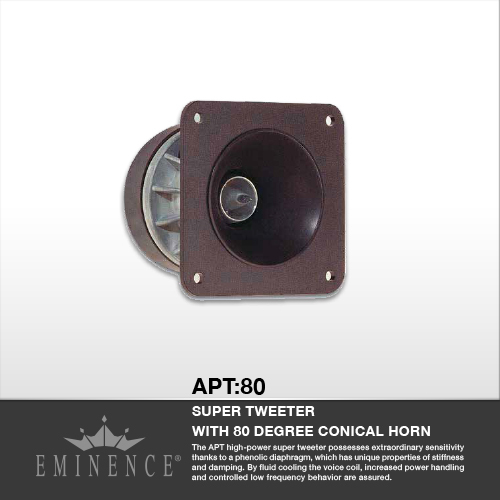 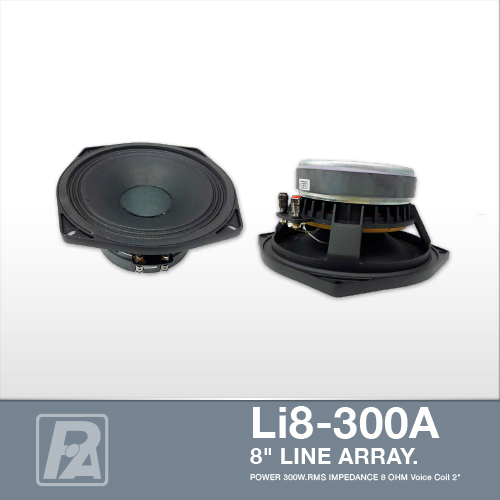 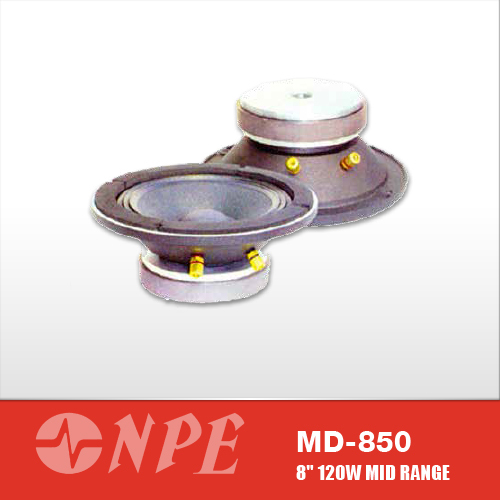 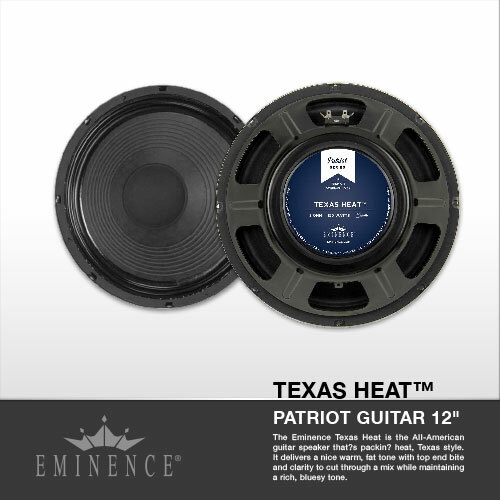 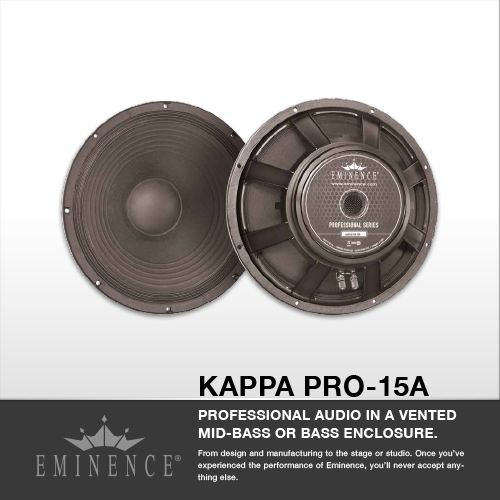 Recommended for pro audio in a sealed midrange, vented midbass, or horn loaded midrange enclosure. 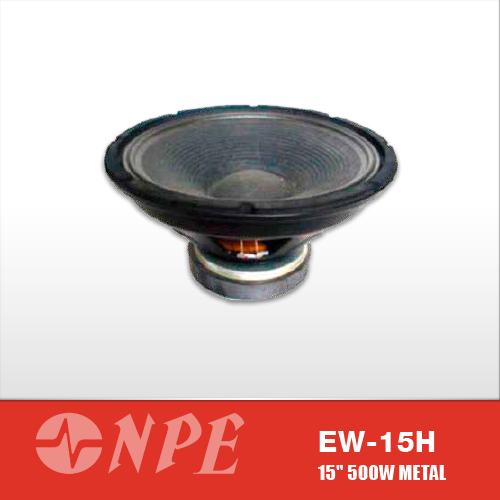 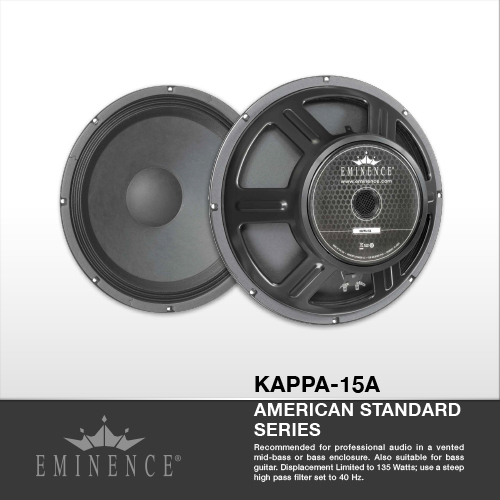 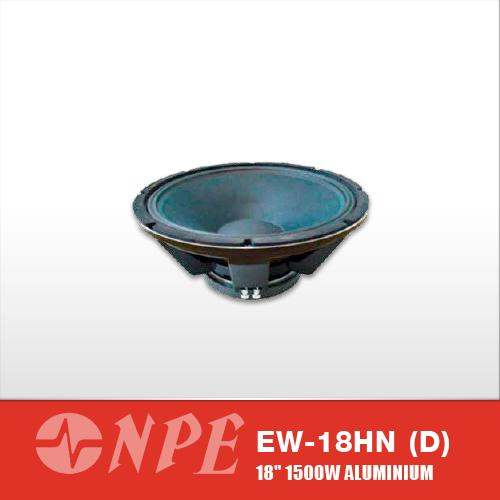 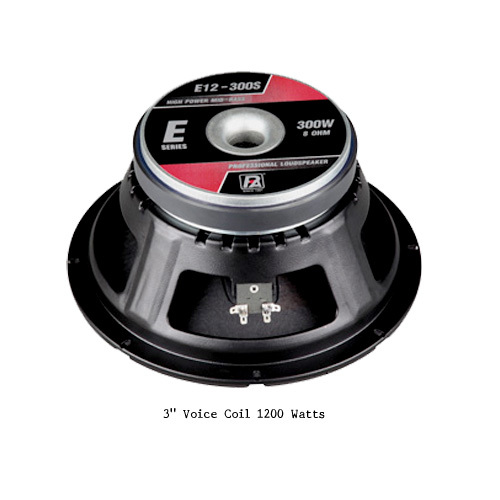 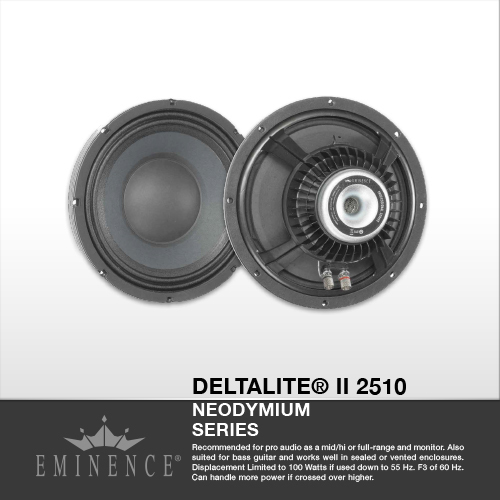 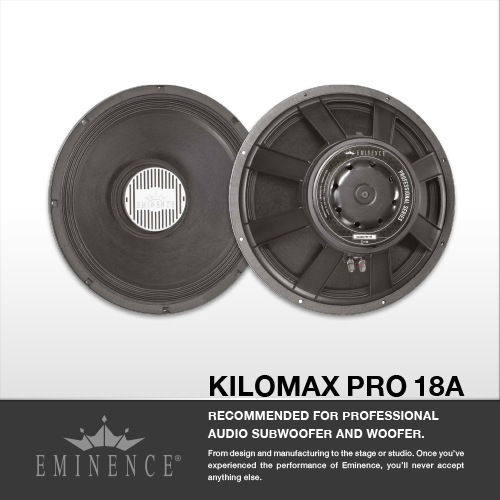 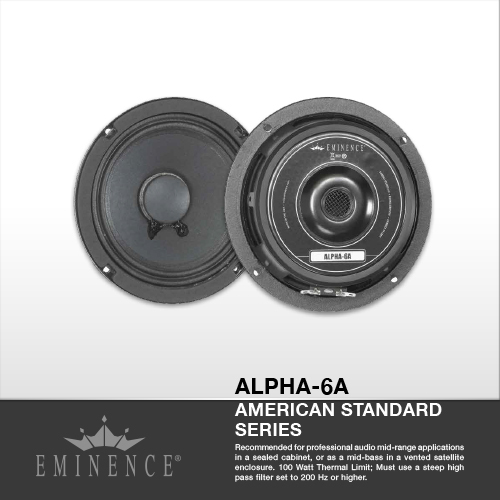 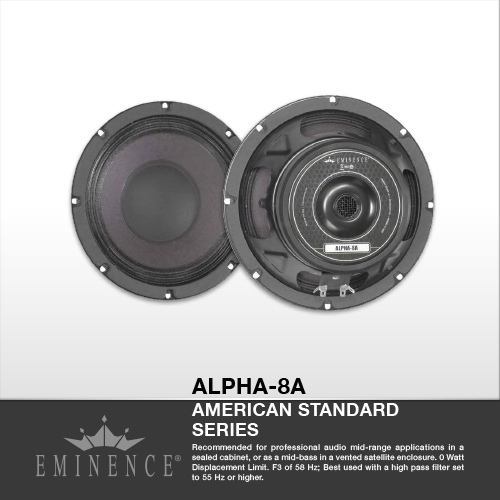 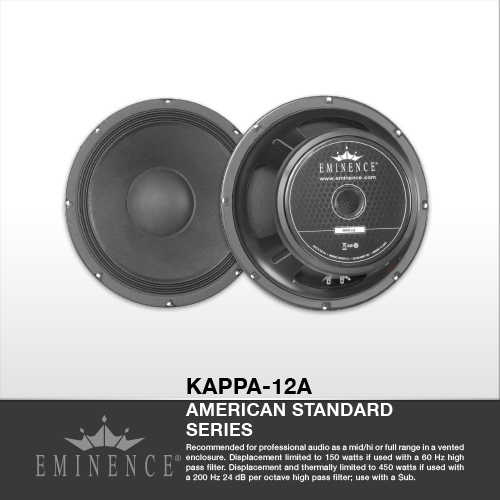 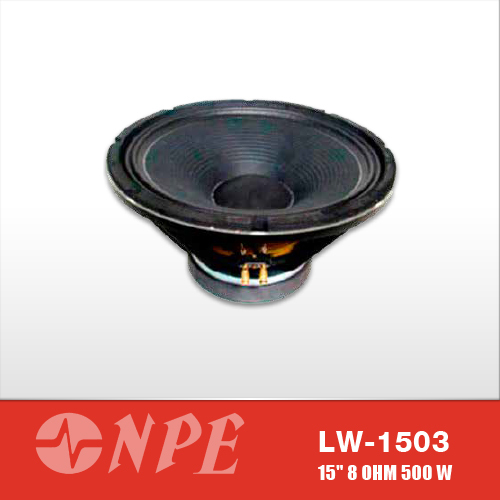 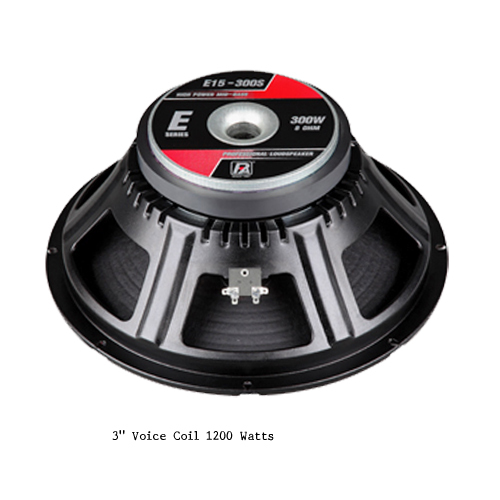 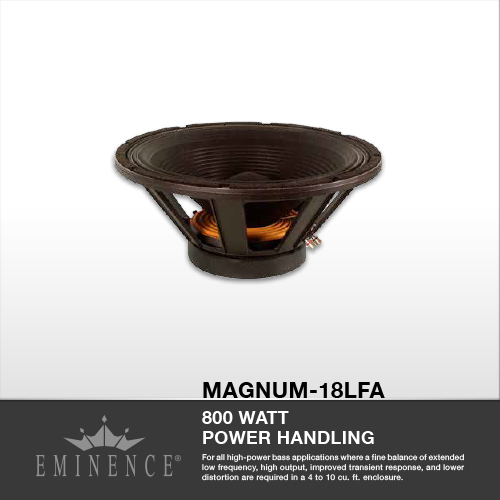 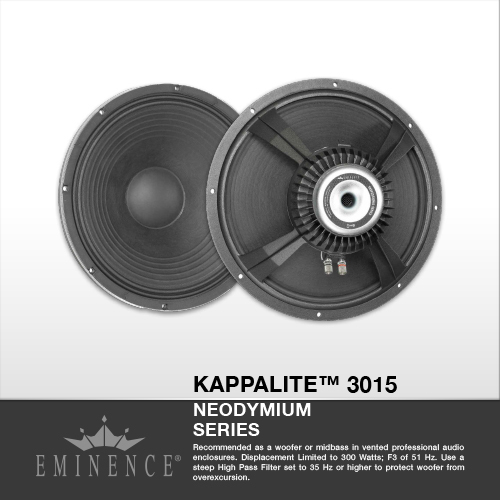 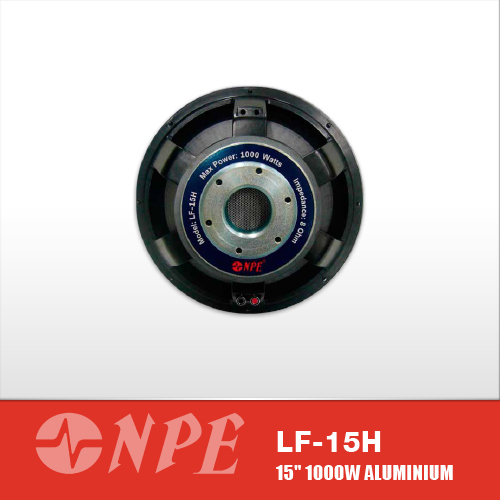 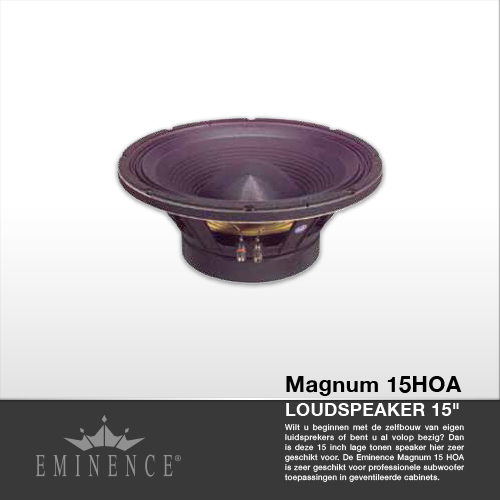 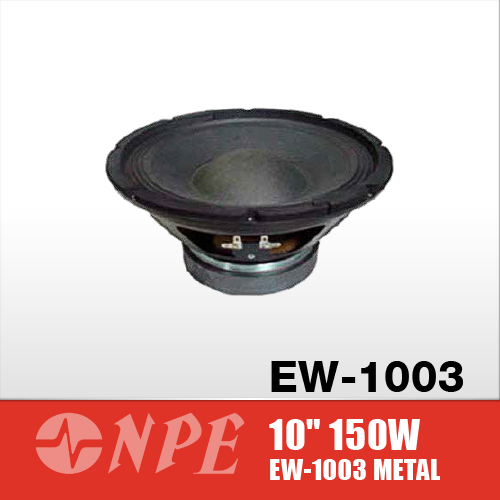 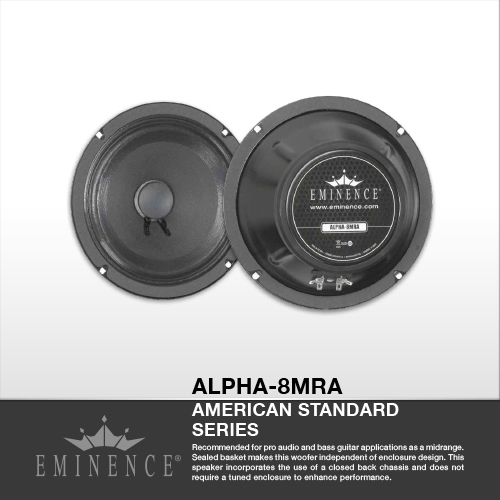 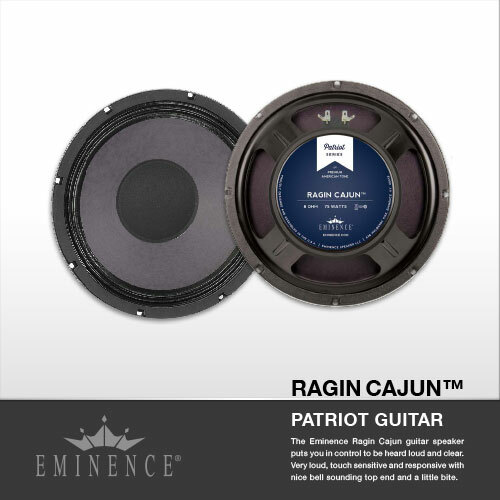 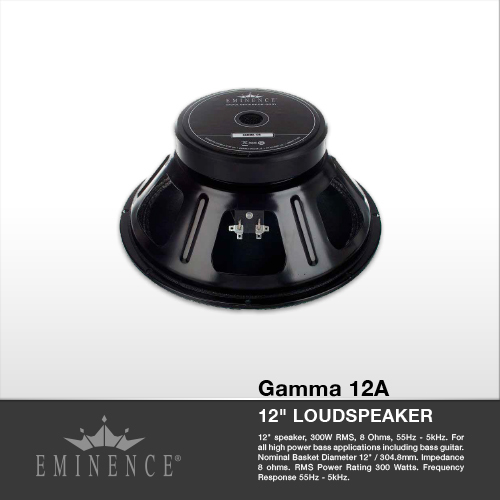 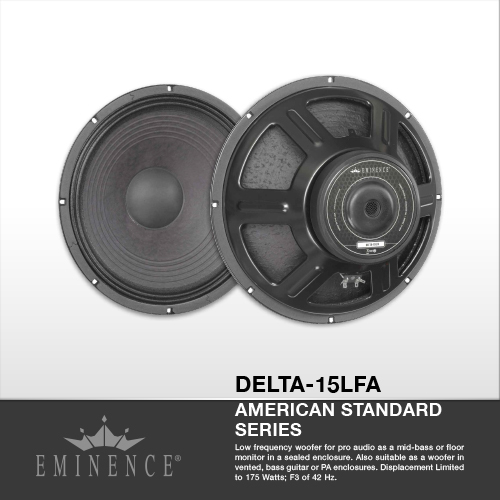 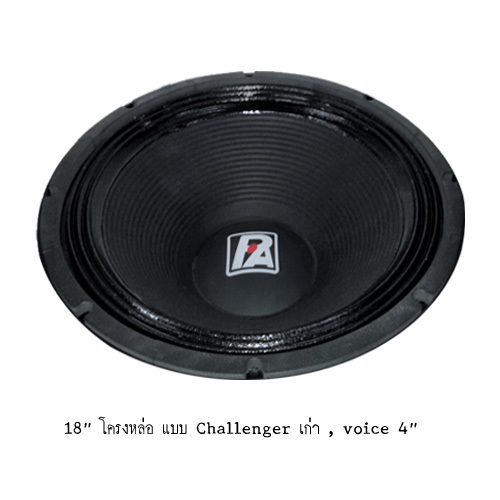 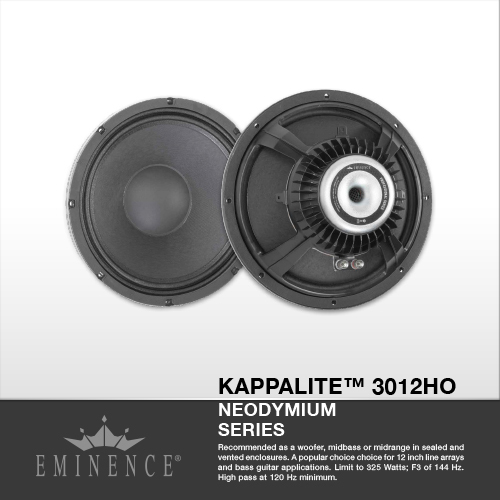 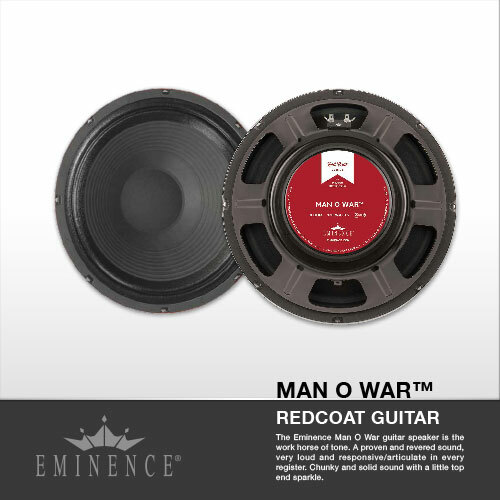 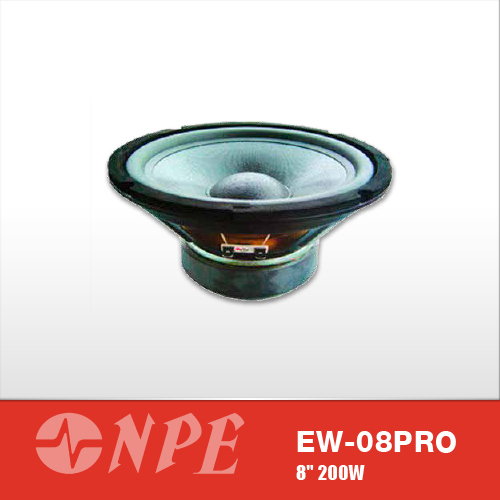 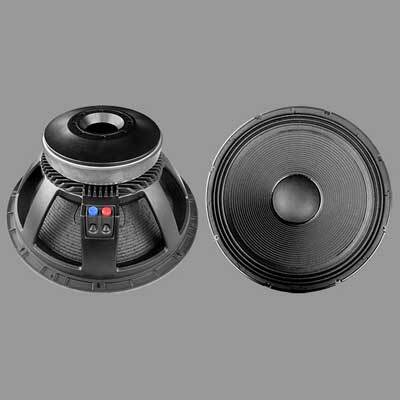 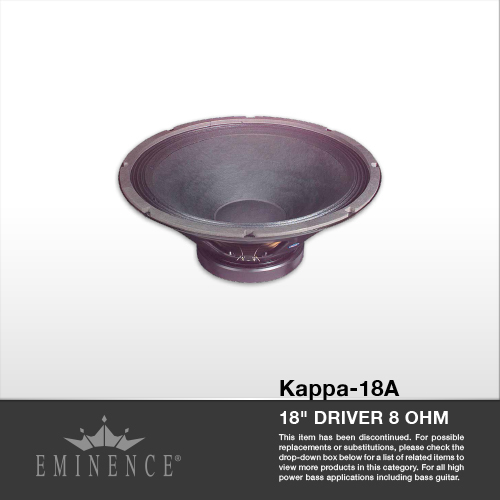 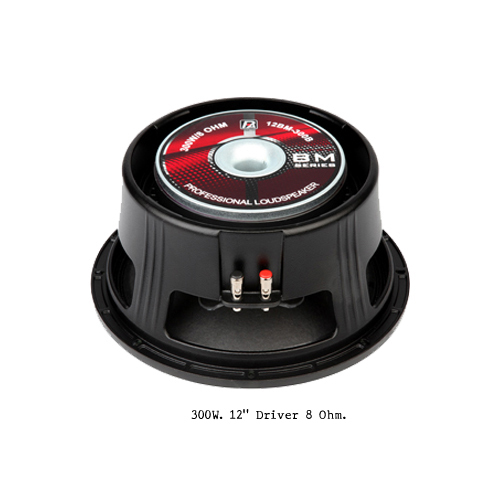 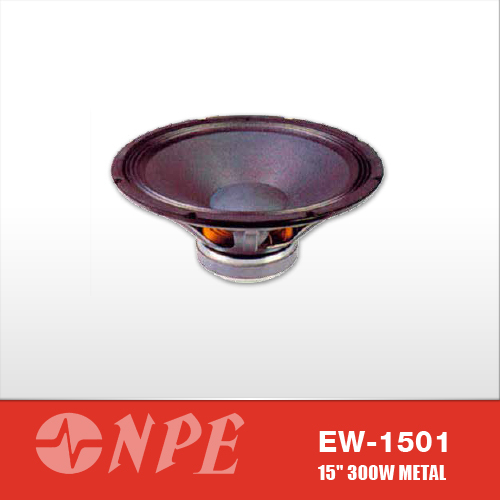 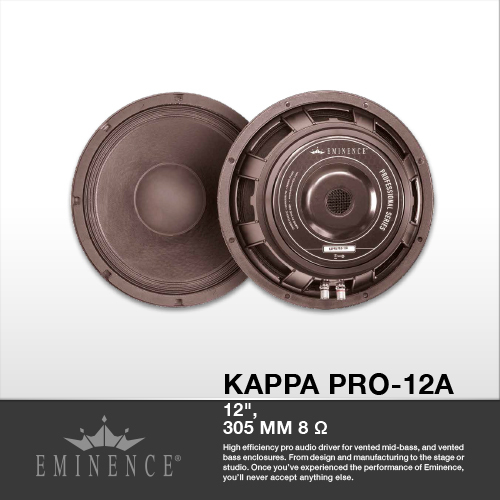 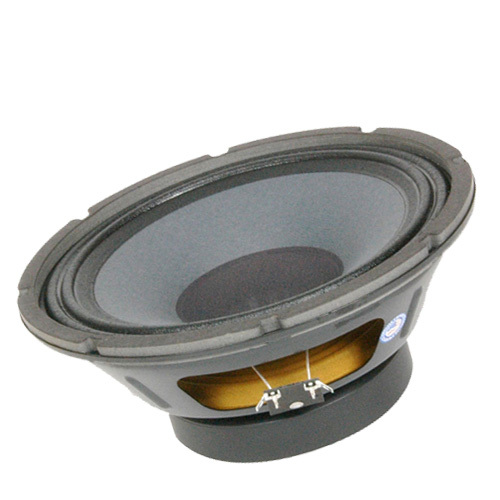 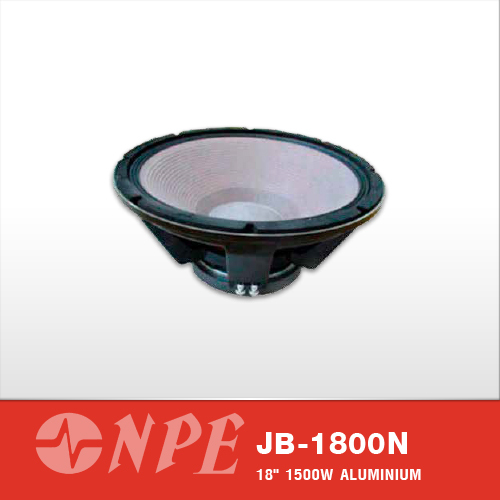 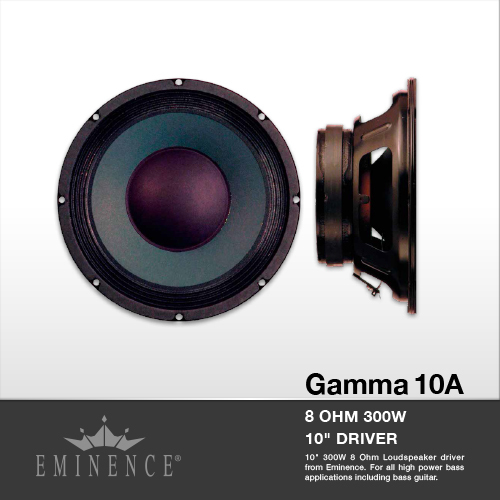 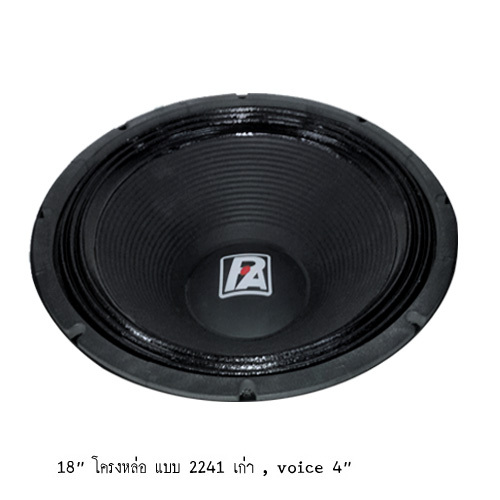 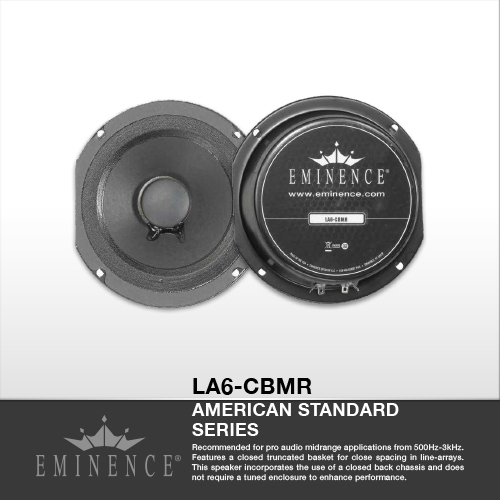 10" 300W 8 Ohm Loudspeaker driver from Eminence. 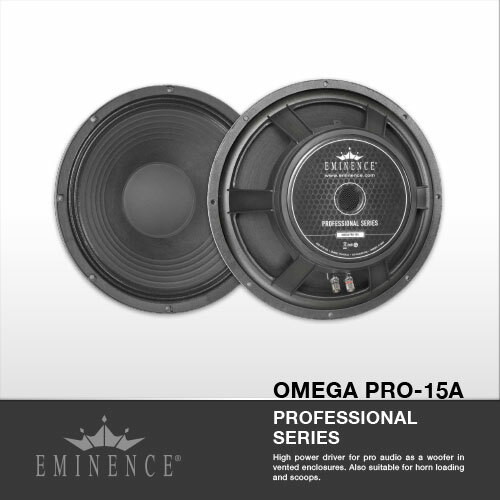 For all high power bass applications including bass guitar.